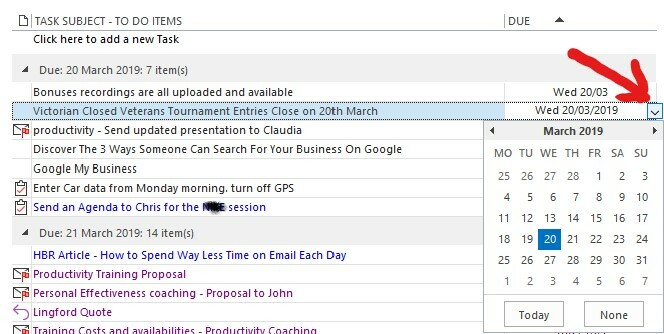 The Outlook “To Do Bar” offers some fantastic features to assist you in managing your Workload. The To Do Bar is is nestled on the right hand side of your Outlook Inbox. It is usually on by default, though many people tend to ignore it. 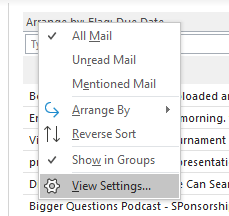 The Outlook “To Do Bar” includes a view of any emails you have flagged or any Tasks you have created. It appears on the RHS of your Inbox or Calendar screens as shown above. To show the Due Date, you need to right mouse-click on Arrange by by Flag: Due Date as shown below. You will see there are two columns. The Column on the Left are all the “Available Columns” for your To Do Bar. The Column on the right are the ones in that view at the moment. (usually the default). You can now remove the unwanted Columns and use the “Move Up/Move Down” buttons to get them in the order I’ve suggested. Now click OK to return to the “Advanced View Settings: To Do List” dialog box. Next, click on the “Group By…” box to open up the Group By Dialog Box. 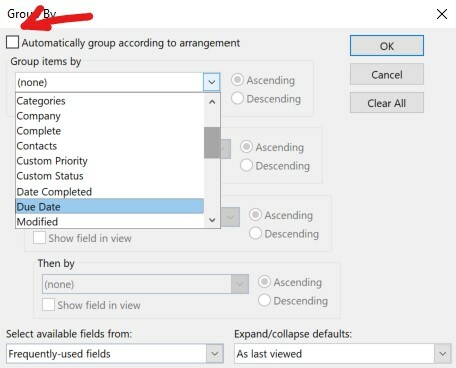 Uncheck the”Automatically group according to arrangement” box as shown above, and then scroll down the “Group items by” list and select Due Date. It should default to Ascending. Now click OK to return to the “Advanced View Settings: To Do List” dialog box. Finally, select the “Other Settings” box to make one small, but very important change. 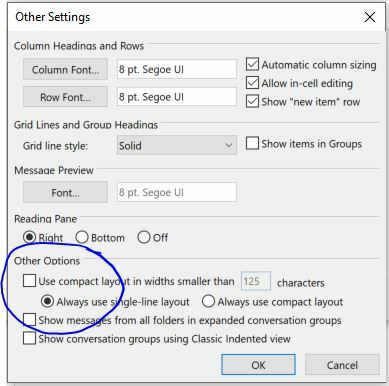 Under the “Other Options” section, uncheck the box that says; “Use compact layout in widths…..” This will then make the default; “Always use Single Line Layout” as displayed above. Your To Do Bar should now look like mine below. 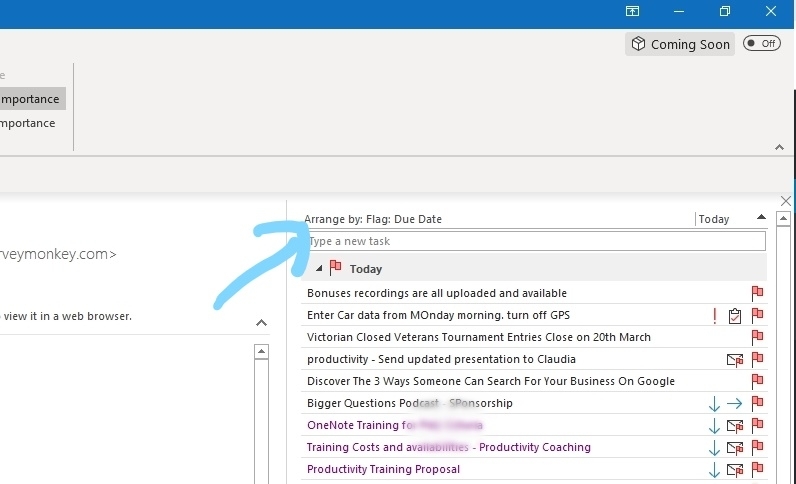 Any Email you have Flagged or Task you’ve created will be grouped by the Due Date you set. You can even Left Mouse-Click on any item and drag it down or up to a different day and the date will automatically change. I trust you can see the value of organising your Outlook To Do Bar this way. 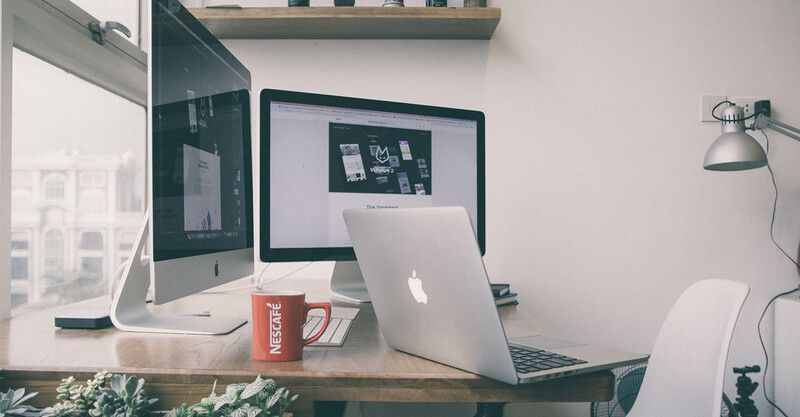 It’s a powerful way of ensuring you can view your Tasks along with your Emails or your Calendar Appointments/Meetings. 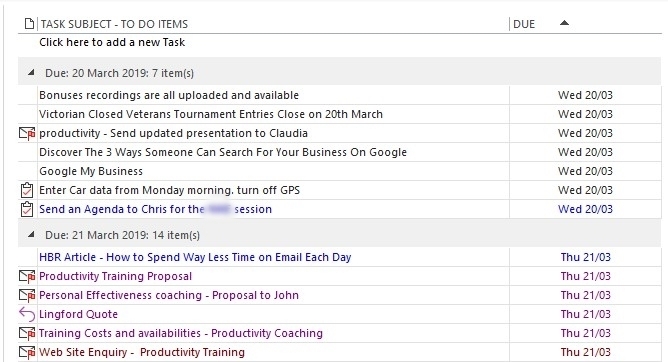 See our Productivity with MS Outlook Training here. Optimise Outlook and save valuable time!